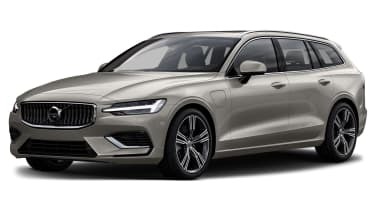 The Polestar-tuned V60 and XC60 have very subtle visual changes including black trim, badging and even exhaust tips. The brake calipers are painted gold. The interior is all black with leather upholstery and gold accents such as the seat belts.